As the rate of unemployed graduates increases every year, skill development programmes help to reduce the rate by offering students with specific skills training that are highly demanded in the job market. The programmes also inspire an entrepreneurial mindset which will have a positive impact on the country’s economy and communities when the students open their own businesses. To help companies increase their BEE score card, they can invest in different kinds of skills development training including internships, school bursaries and learnerships. When investing in a skills development programme a company will be credited with 25 points on the BEE score card. With the #feesmustfall movement creating a disruption in tertiary institutions, companies need to spend money on skills development programmes to have a good reputation on their employment equity profile. 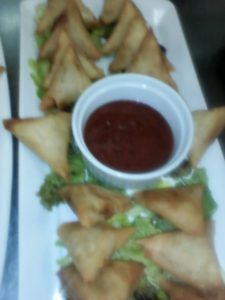 Diyoko’s story has been featured on our blog before. One of our proudest success stories, Diyoko overcame a terrible accident that left him partially disabled and after training at Sparrow in Business Administration was employed in the Admissions office. From when he first had his accident Diyoko has been working with Evey and Gail Jones from the Department of Speech Therapy and Audiology at Chris Hani Baragwanath Hospital. As Evey put it, Diyoko’s speech disorder was a structural one, which meant it was caused by the reshaping of his physical face and mouth rather than any cognitive reasons. This frustrated Diyoko as he tried to communicate with his office mates Adelaide and Montshadi, as they could not always understand him. Fortunately, technology has been growing in the field of alternative communication and Diyoko was identified as a prime candidate to receive an augmentative communication device from the hospital which would help him to communicate through his computer. The device is made up of an adapted mouse and joystick that reads into a computer programme. Diyoko will be able to preprogram common words and sentences and select the appropriate one when he wants to communicate with anyone in his office. His office mates will also be able to suggest any phrases they feel he may need to use to communicate with them or for them. The programme has been a godsend to Diyoko and his team, and it gives him even greater independence and allows him to be more productive than before. Whilst the setting up process is still underway as Diyoko and his office mates all need to be trained in the software, everyone is excited about what it will mean in terms of Diyoko’s professional life. The simple act of communicating shouldn’t be something that hinders anyone in this age of technology, and thanks to the generous donation of Chris Hani Baragwanath, Diyoko has overcome another barrier and will achieve even more at Sparrow FET College. From welding student to achieving his dreams. All his academic life, Pule Nkaenkae had been a great student. He sailed through the first eleven years of his schooling and when he got the chance to do a diploma he succeeded in graduating with several distinctions. All in all, Pule should have been on top of the world. But after graduating it all came to a standstill. He just couldn’t get a job. His diploma in Road Transport Management was good, but ultimately, the job market was just too saturated to find a place for him. Pule was never one to sit on his haunches however. He still had a small but steady job as a sales assistant that he had worked steadily at for six years since a year after matric, and though it wasn’t enough to achieve his goals, he worked hard at it whilst he looked for something better. At the end of 2013, he heard about Sparrow FET College from a youth development programme he attended. Sparrow was one of the recommended schools for youth in his position or even worse, and Pule immediately took the chance and signed up for the welding programme. He was not hesitant about going back to school all over again. By July of 2014, Pule was doing his placement at New Heights Tank Design as a trainee. After he finished his training, the company took him in. Here began another rollercoaster. Pule had a great work ethic and all the managers were greatly impressed by him. He was snapped up into another department as soon as he was made a permanent employee, and got the opportunity to travel out of the country for large projects. And as of this year, when the company split and a new one was formed, Pule was the in demand employee everyone wanted to hire. Pule has plenty more tasks he is set to achieve, travel, furthering his new career and more. But with his determination and motivation, he is sure to achieve his dreams. A female student in a male dominated industry deiced to take charge whilst on workplace experience and was hired after a month! Thembisile first heard about the opportunity to study Fluid Power Hose Assembly at Sparrow FET College through The National Youth Development Agency (NYDA). After graduating from college, Thembisile could not find a job in the field of electrical engineering and spent several years volunteering whilst looking for work. In April 2016, Thembisile registered to study Fluid Power Hose Assembly at Sparrow FET College in Sophiatown and found the course ‘interesting’ and ‘engaging’. 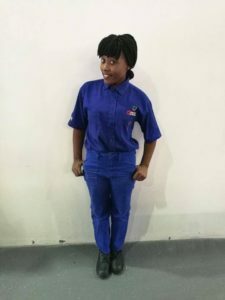 After her three months at the College, Thembisile was placed at Pirtek to gain practical work experience and within a month of her placement, she was offered a permanent position at the company. 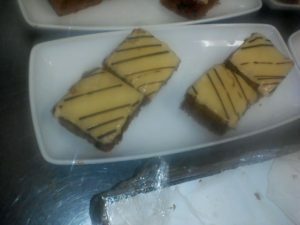 A sports coaching student refuses to give up! Xolane is on his way to living his dream. Since he was a boy, Xolane had always loved the thrill of football, and even more, the thrill of organising and running a team. He didn’t immediately seize on that passion, however. In his neighbourhood in Thembisa, Xolane was known for the football team he had been coaching since Grade 11, Boys’ Team FC. After completing his matric, he got a job at OR Tambo International Airport in customer service. The job was good, but the hours were bad, and Boys’ Team FC fell by the wayside. At this point, Xolane’s life took a turn darker. He is reluctant to get into this area of his past, but admits free time at odd hours and bad friends introduced a new lifestyle of illicit substances into his life. Two years after beginning, he had to leave his job, unable to sustain the balance anymore. If you’re interested in making your dreams come true, please book your assessment via 011 673 4410/4419. South Africa’s further education and training (FET) institutions and private sector companies have to form innovative partnerships to successfully address the country’s twin challenge of a critical skills shortage coupled with high youth unemployment. Sparrow FET College was founded in 2010 to provide a theoretical, practical, and real-world application approach to skills development and training for learners from a disadvantaged background. The college is a social enterprise that works with both government and private companies to identify which skills are in demand, and to train learners in these areas – including in construction, engineering, hospitality and IT – with the outcome being an accredited NQF level qualification. A fundamental difference at Sparrow is that educators go beyond just what’s in the curriculum; not only are they experts in their field, but they bring their own life experience into the classroom and provide learners with a mentor or role model to look up to. This includes coaching learners in areas such as life skills, financial literacy and more. Learners also cover practical parts of the curriculum content in a simulated workplace environment to better prepare them for the real-world workplace – be it a workshop or a chef’s kitchen. 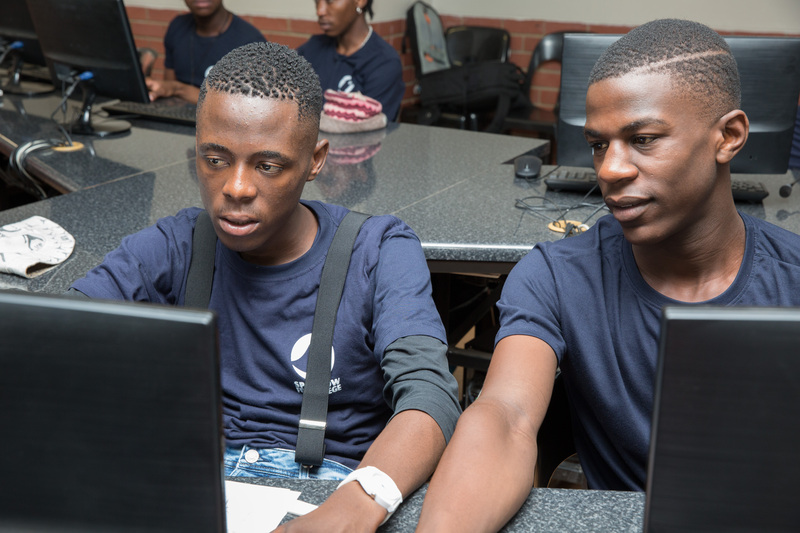 In addition, while learners completing their studies across many of the country’s FET colleges are left to try and find companies willing to provide them with internships by themselves, Sparrow works with industry partners to place students, where they get further training, learn to adapt to the workplace environment, and are prepared for future employment. Our placement process starts with a psychometric assessment, and continues onto monitoring by job coaches to ensure students continue to develop and are capable of carrying out their duties at the workplace. We feel this is where the college’s success lies – it’s done to strike a balance between our social responsibility needs, with the requirement of companies for competent and reliable employees – and build a sustainable relationship between the college and industry partners. 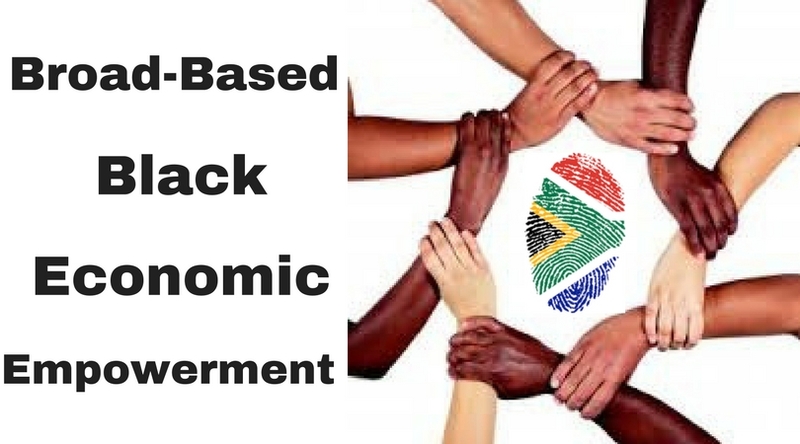 South Africa’s amended broad-based black economic empowerment (BBBEE) codes have already placed a strong emphasis on skills development, with a priority on women and marginalised disabled youth – both from the existing workforce, and unemployed, previously disadvantaged youth. But by working closer together, the country’s FET colleges and private sector can build fruitful partnerships that go beyond simply meeting compliance requirements and actually make a meaningful effort toward creating inclusive, growth driven opportunities for South Africa’s youth. Sinah is currently undertaking her work placement at Gold Reef City and is enjoying the experience. Despite finishing the theoretical part of the Professional Cookery course in December 2016, Sinah still feels supported by Sparrow. Students have regular visits from job coaches to check on their progress at the work placement and address any challenges they face. 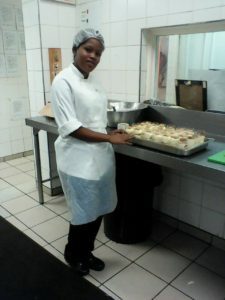 When Sinah finishes her course, she would like to get a job a permanent job in the food industry and has ambitions to become a sous chef. 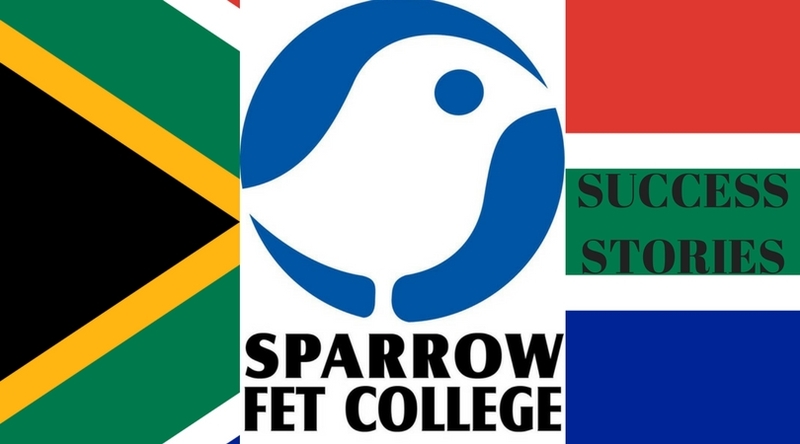 If you would like to join Sparrow FET College today, email us on admissions@sparrowschools.co.za to book your assessment or if you are looking for an extra pair of hands you can host our learners for 6 months at no cost contact us: 011 673 4410/19. Lerato Sekgage had a challenging start to life. She lost her mother when she was four years old, her father passed away when she was seven years old and then Lerato and her sister moved in with her grandparents who passed away in 2014. Lerato rents a small place near the Vaal Dam and before she heard about Sparrow, Lerato was unemployed and looking for work. Her small inheritance from her grandparents was running low and she was desperate to find work. Lerato has now completed her workplace experience at Purple Esther, a manufacturing and supply company in Sophiatown and completed her course at Sparrow FET College. 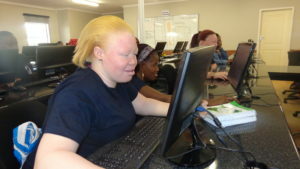 She is now assisting the Business Admin facilitator for one week every month and seeks new employment in the IT arena. Itumeleng Letoane is a true testament of second chances and trying again. Raised in the Free State township of Thabong near Welkom, Itumeleng had, by all accounts, a happy childhood. Together with, his little brother and two of their cousins, he grew up steadily under the doting eye of his grandmother, Bulawa Elizabeth Letoane. He studied until Grade 10, after which he moved to Pretoria and began living with his aunt. 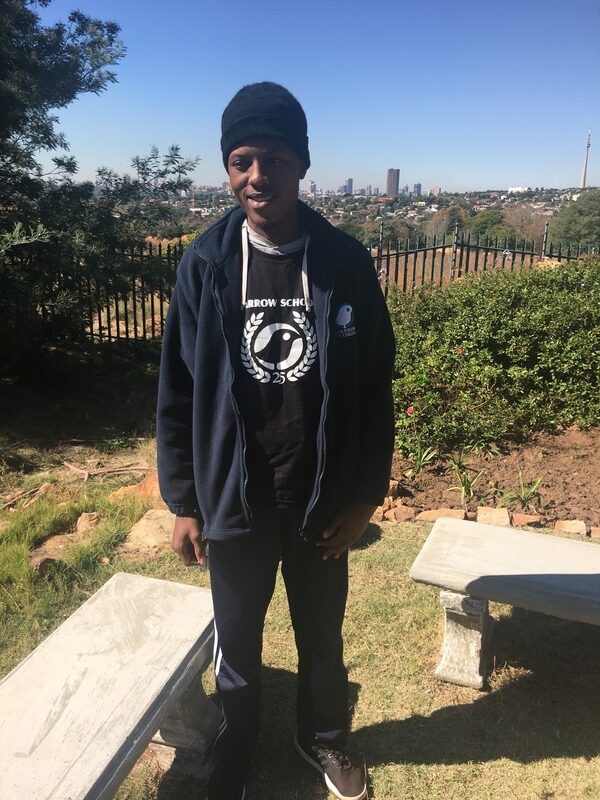 Whilst in Pretoria, he faced his first struggle, trying to enrol in a school for Grade 11, but failing to get placed due to the school year already having started. After this, he managed to get enrolled into an Electrical Engineering course at Centurion Campus. It was here that his real struggles began. “The freedom at a college changed me,” he recounts. “I stopped attending classes and started drinking and smoking cigarettes and dagga.” His new lifestyle had a negative effect on his grades, and he began failing his classes. “When I started failing my subjects and being unruly, my auntie sent me back to my grandma.” Back where he started, even under the watchful eye of his grandmother, Itumeleng’s behaviour got worse. “I joined gangs to satisfy my habits of smoking and drinking and became affiliated with a notorious local gang.¨ He became so entrenched in gang life he began to slip onto the wrong side of the law. He was arrested numerous times, but always managed to avoid a sentencing conviction. This was when Itumeleng finally decided to take his life into his own hands and change for the better. In 2007, he sat his grandmother down and announced he was moving to Jo´burg. “What was left for me (in Thabong), was prison or being killed by a rival gang.” All his grandmother said to him was “Ke nako (it’s time)¨. With her words in his heart, Itumeleng arrived in Johannesburg, determined to find a new life. At first, Itumeleng struggled, trying to eke out a living on the streets of Johannesburg. He came across an NGO that ran a job rehabilitation project and after spending some time doing odd jobs for them secured training and a job as a security guard. Still, he felt his life was not entirely in his control, and so he kept looking for more opportunities to better himself. 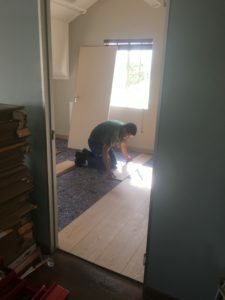 Whilst browsing the internet one day, he found an advertisement for Sparrow Schools, and by January 2015, he was enrolled in the Installation of Floor Covering course. That same year, he took a chance and registered his company; looking forward to the day he would complete the project and work for himself. He learnt to install all sorts of flooring, from laminates to artificial grass, and gained valuable experience at Combined Flooring. Our next in-take is July 2017, so call 011 673 4410/19 or email admissions@sparrowschools.co.za to book an assessment. 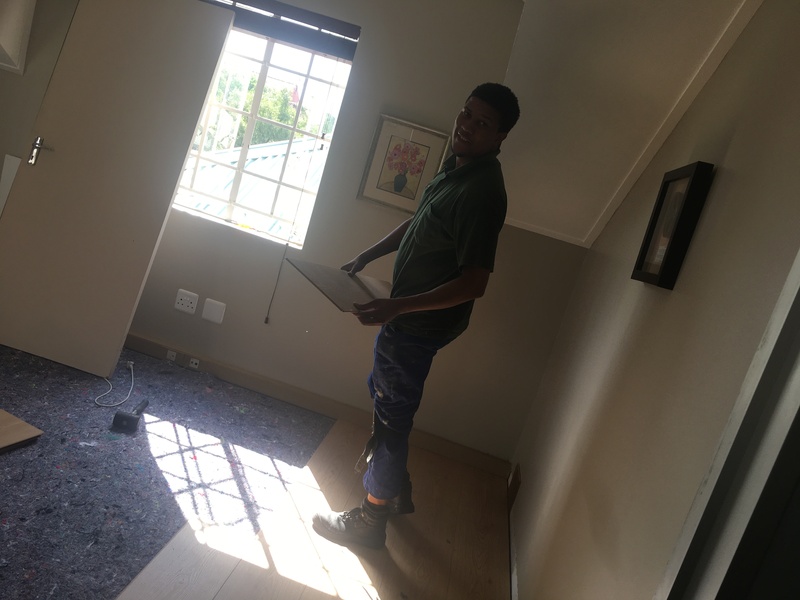 Volunteering enabled Sparrow FET student, Thapelo Motsa, to prove his commitment to the industry and has been offered a 4 year contract to train as a technician, which will change his life. Thapelo Motsa, fresh out of school and the first student from Sparrow FET College (Further Educational Training) to be offered an apprenticeship at Lindsey Saker. In 2016 Thapelo registered at Sparrow FET College in Sophiatown to study Automotive Repair & Maintenance (NQF Level 2). Thapelo completed his six month work placement in January 2017 at Lindsey Saker, which is is one of South Africa’s oldest car brands. 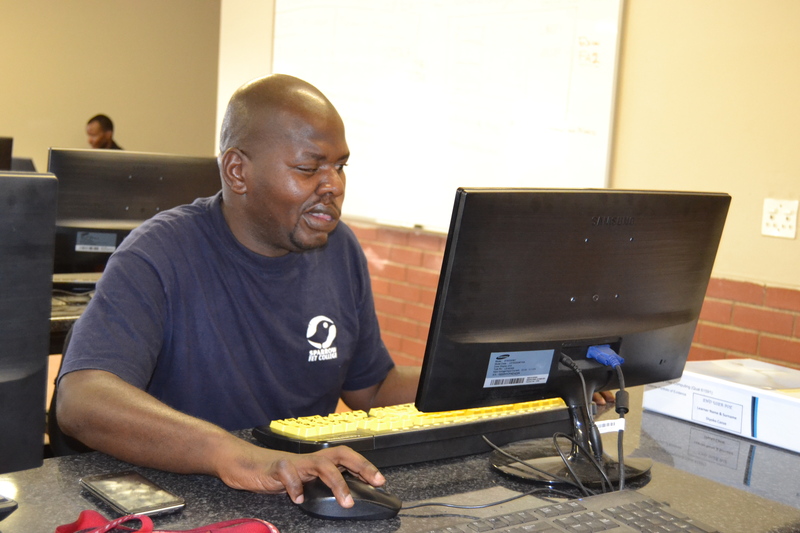 After he finished his course, Thapelo did not have a job lined up, but his strong work ethic and determination did not let this negatively impact his life. 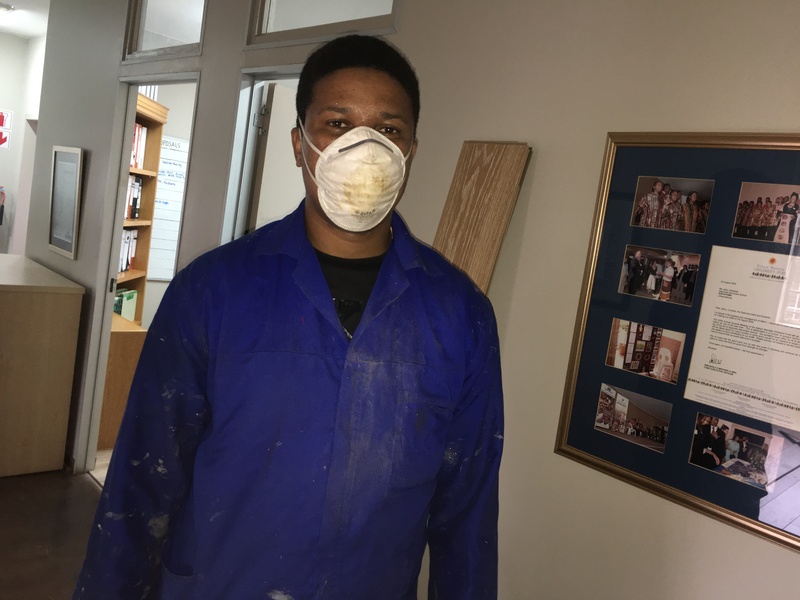 For a month and a half, Thapelo volunteered at the company and impressed his manager through his work ethic, enthusiasm to learn and determination to succeed. Last week, Thapelo was delighted to receive a permanent contract for a four year apprenticeship to qualify as a technician. Sparrow FET College was a good transition from high school, to college to the workplace. I would advise anyone who has matriculated or anyone who is unsure what to do, to consider all your options. Sparrow FET College provides a great opportunity that other colleges and universities don’t provide, which is the the work experience; it is so vital in today’s economy! Some of my friends who matriculated from school in 2015 are still unsure what to do, however one friend has just registered to study Professional Cookery at Sparrow FET College! If you would like to find out more about the opportunity to receive a fully funded bursary to study Automotive Repair & Maintenance (NQF Level 2) then we want to hear from you. Grade 2 children at Sparrow Schools participate in the Eco Brick Campaign.